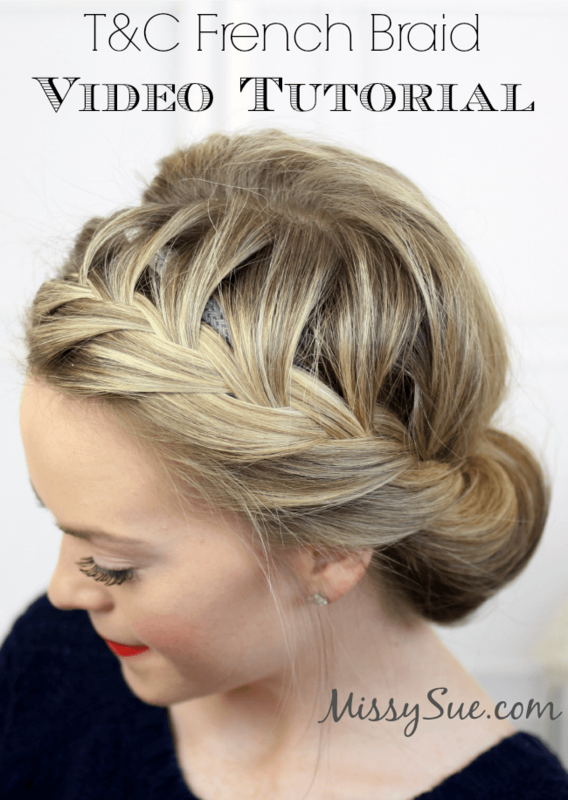 Tuck and Cover French Braid Video Tutorial is the highly requested tutorial for Braid #7 in the 20 Braids for Spring series. I have thoroughly enjoyed doing all of these alternative version of the original Tuck and Cover. Of course, I never imagined it would come to this but it is great nonetheless. Do tell me, which Tuck and Cover’s are your favorites and what other varieties you would like to see. Maybe coming up with other neat ways to wear the style is my job but, I promise you, I have always got my thinking cap on so we’ll see what I can come up with next. 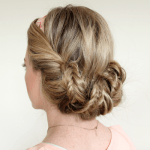 Follow these quick steps to achieve your own French Braid Tuck and Cover. Step 1 / Separate a section of hair from the part down to the left ear. Step 2 / Grab your favorite hair band and lay it over the head resting where the horizontal part was created. 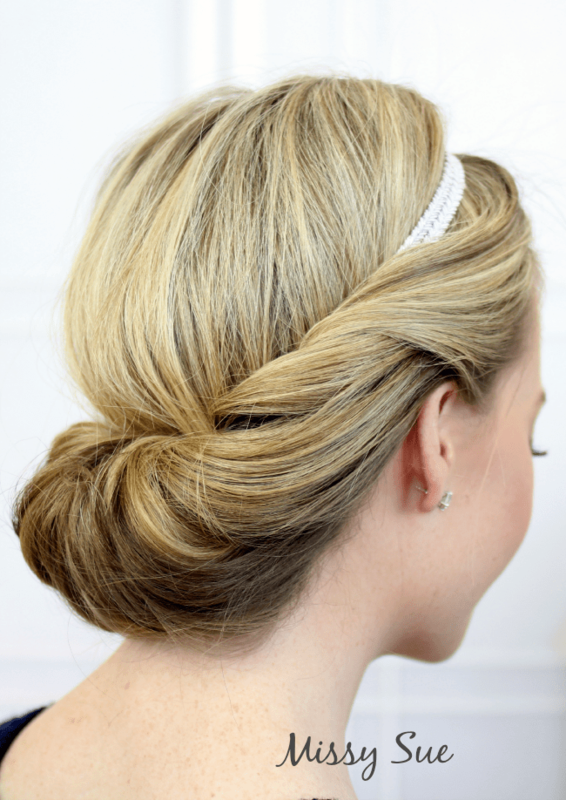 Step 3 / Now, gently pull loose the hair on the very top of the head so it rests over the band. 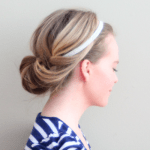 Step 4 / Take a section of hair between the forehead and headband and divide it into two pieces. Step 5 / Next take a small section in line with the other two on the other side of the headband. 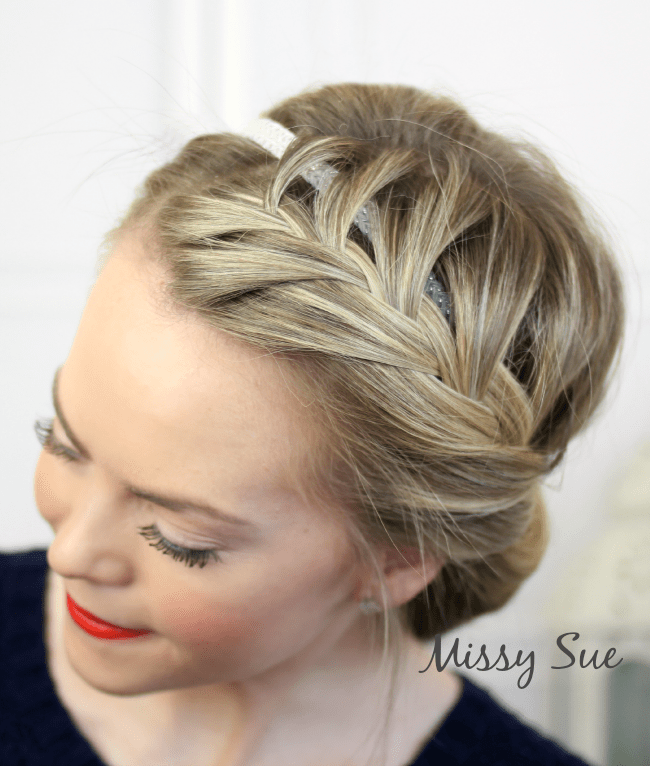 Step 6 / Begin a French Braid by tucking the side strands under the middle. Step 7 / When pulling in hair from behind the headband, keep the strand small so the band peeks through. Step 8 / Continue braiding until you reach the top of the left ear. Step 9 / Now tuck the strands into the headband to create the first loop of the Tuck and Cover. Step 10 / Continue pulling up sections of hair and looping them through the band. Step 11 / Once you reach the back of the head, switch to the right side and repeat steps 9 and 10. 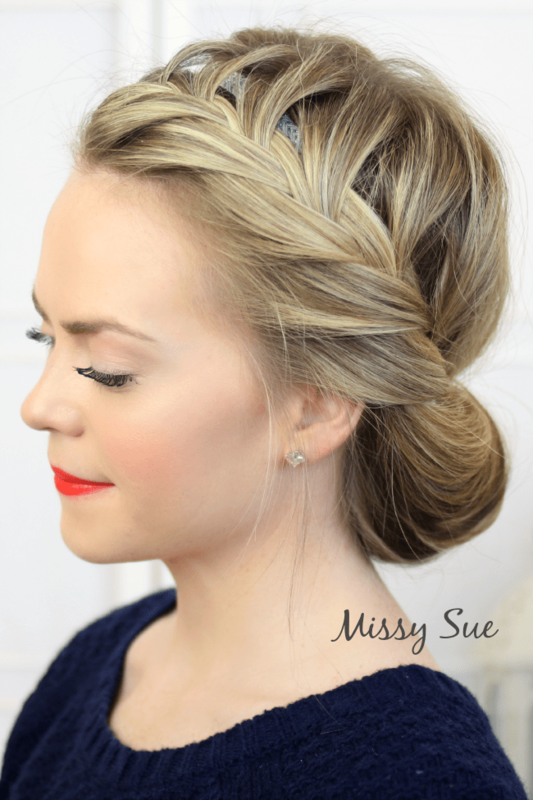 Step 12 / When all the hair is gently tucked into the band, finish with hairspray and a swipe of red lipstick. 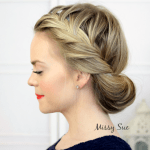 Check out the other versions of this hairstyle. I absolutely love this. Can’t wait to try it. Thanks for sharing!!! 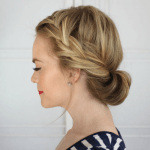 I LOVE this hairstyle!! I also love your makeup that you used for this tutorial. You make it look so easy! I’ve tried this type of style a few times without success. 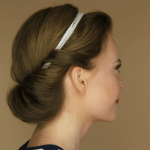 My hair is thick and heavy and very very slick – nothing stays in without clips, elastics, and/or a zillion pins. This is gorgeous! I can’t wait for my hair to grow just a tiny bit more so I can give it a try!